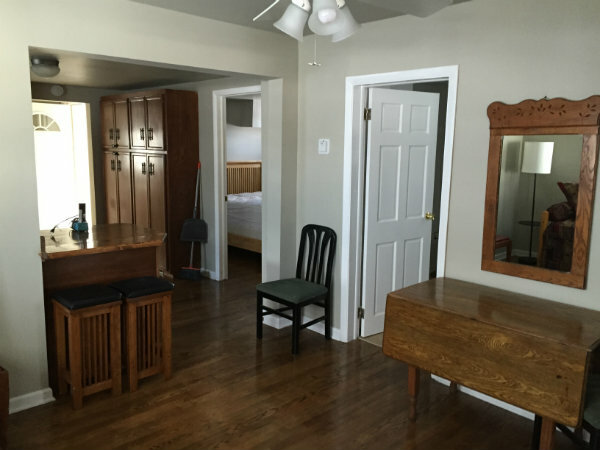 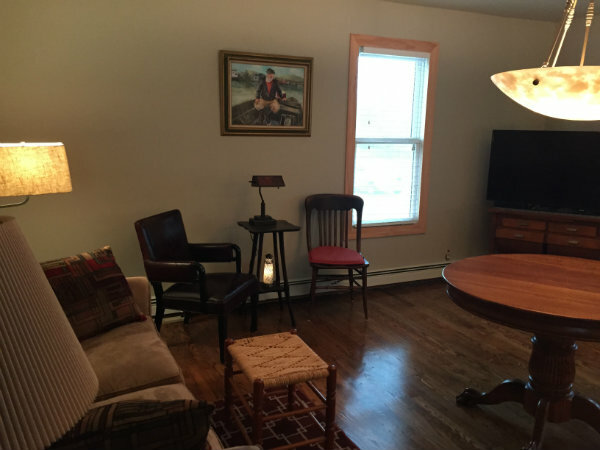 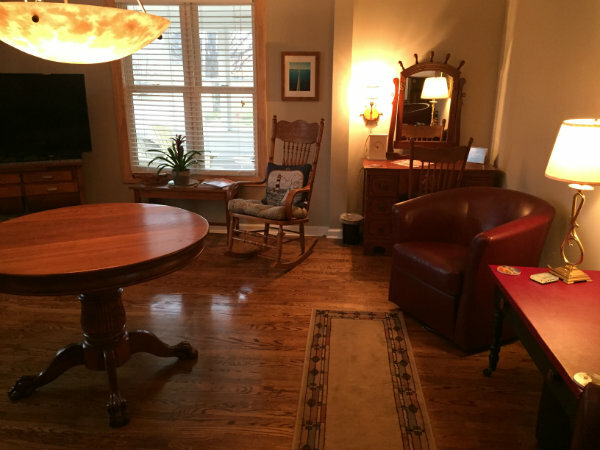 This beautiful two bedroom main floor apartment sleeps eight comfortably. 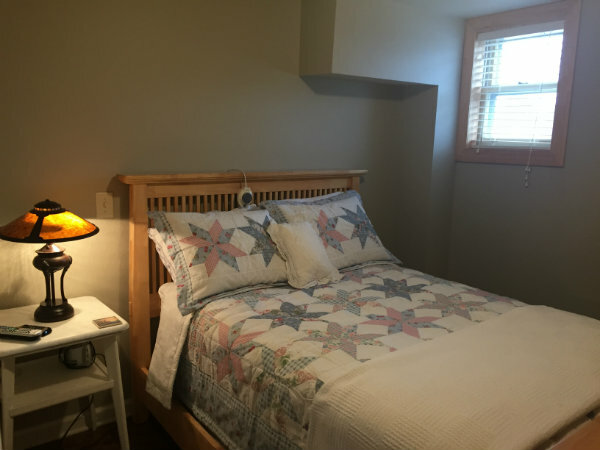 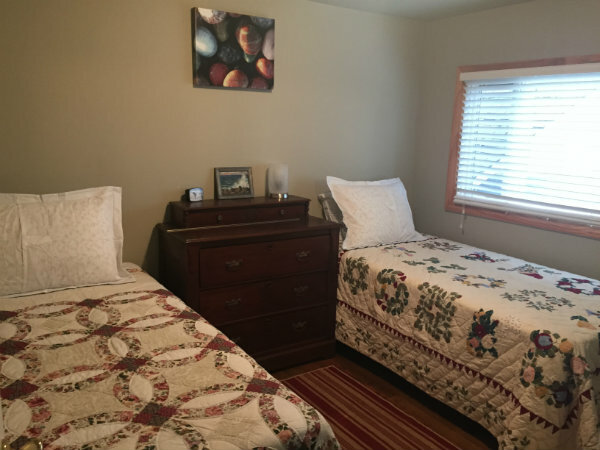 One bedroom has a full size bed, the other has two single beds, also a queen hide-a-bed in the livingroom area and a daybed with a trundle in the dining room area. 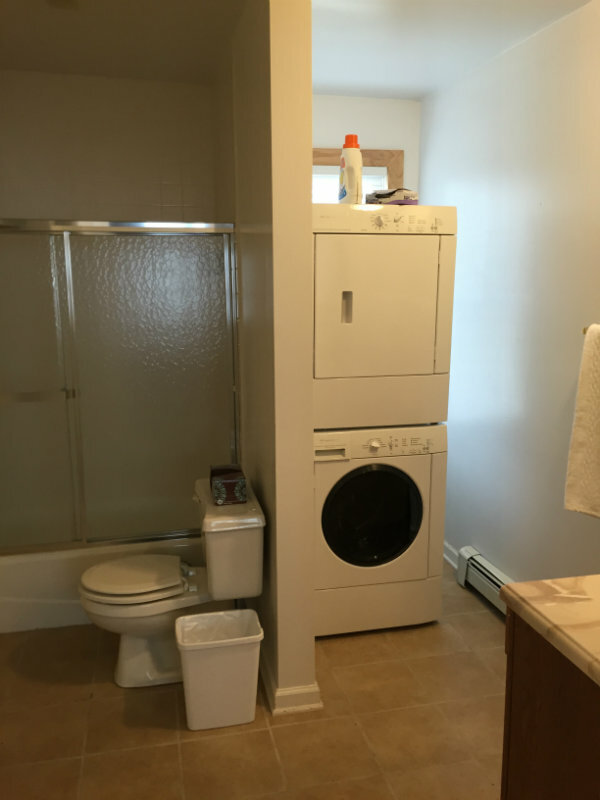 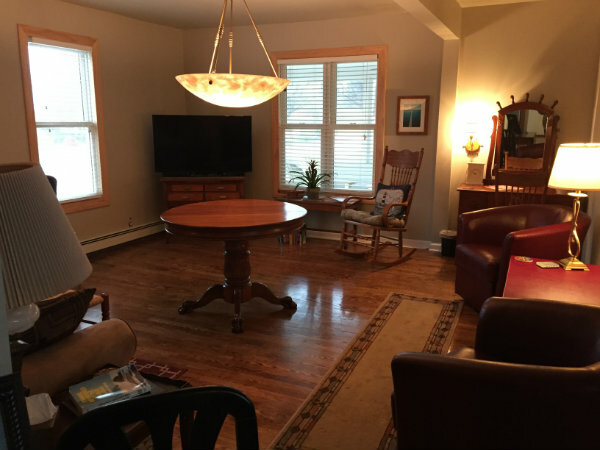 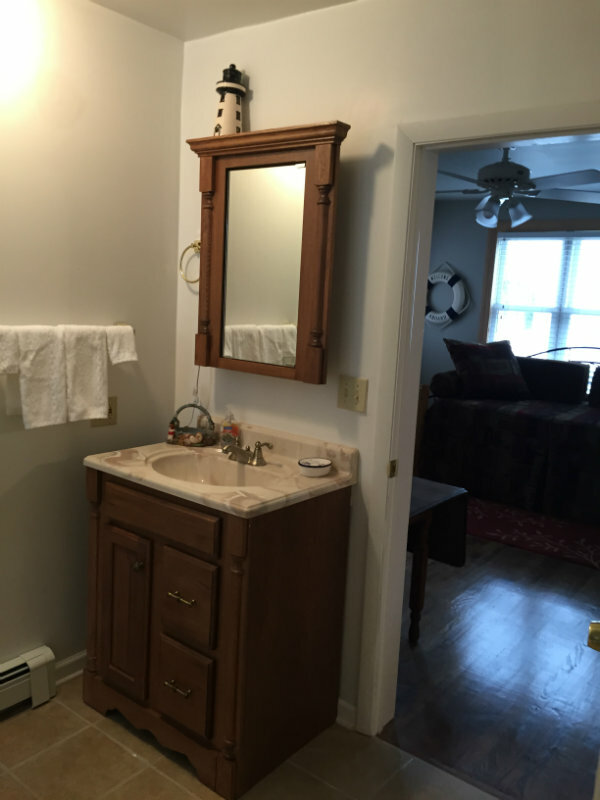 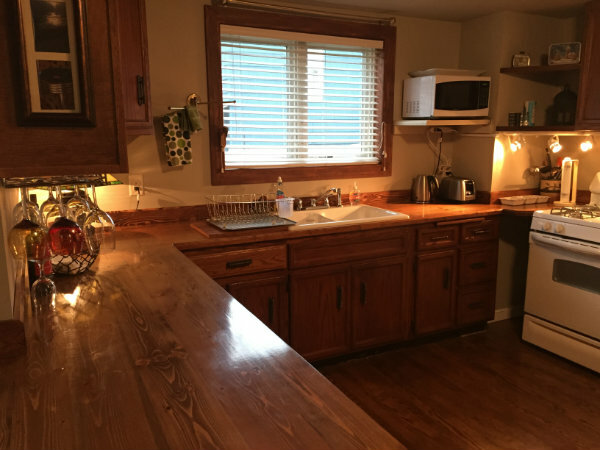 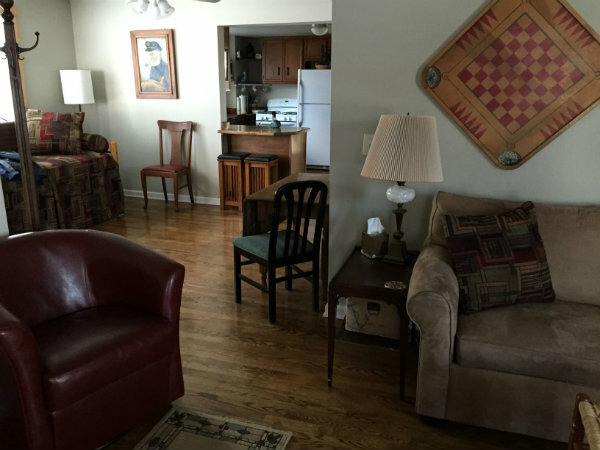 Large flat screen television with dvd player, washer and dryer, large front porch with lake views, gas grill and a picnic area are just a few of the extras.